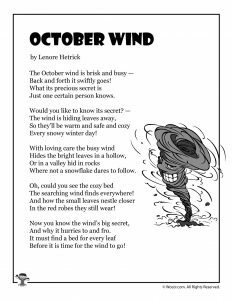 I know that October is all about Halloween for most of us, but this is one of the best months of the year even without spooky activities! 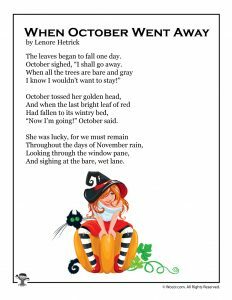 These October kids poems are NOT spooky at all. 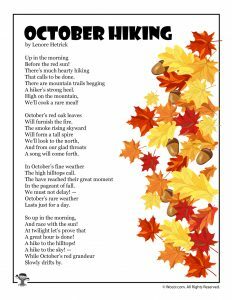 They speak to the beautiful colors of fall, the changing seasons, the weather, and being on the cusp of much cooler days. 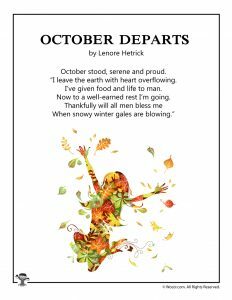 August, September and October are my personal 3 favorite months of the year, so I’m always extra sad to see this wonderful month come to an end. 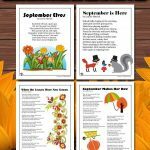 There’s so much to celebrate about October! 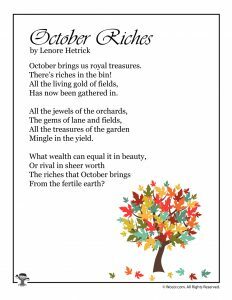 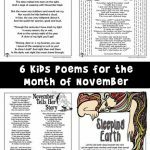 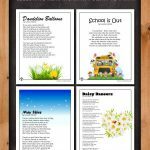 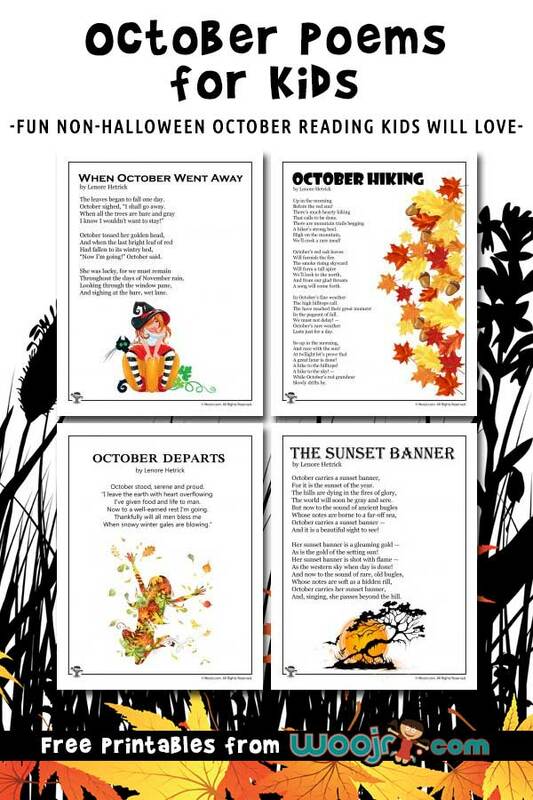 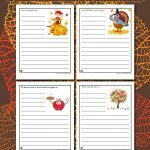 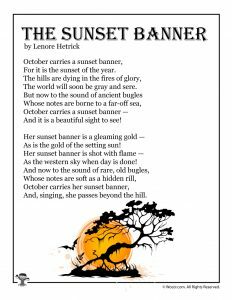 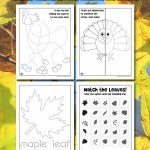 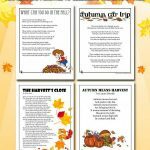 You might also like our fall kids poems or Halloween kids poems!